Call me a sut, call me a whore. Call me annoying, call me a bore. 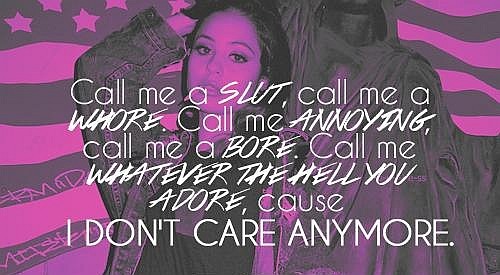 Call me whatever the hell you adore, cause I don’t care anymore.